As I get SLOWLY ready for raiding, I am constantly on the look out for cheap upgrade options. Sure, eventually, I'll have enough valor points to get my nice shiny T11 warlock gear, but that's a ways away. Long story, short, by March, assuming no raiding, I should be replacing my lowest grade item. First off, what's an upgrade? While I was searching for PAWN scales and Simcraft results, I found this forum post on EJ. About half way down the page, Peanut posts his simcraft stat prioritization levels for destro locks. Using these values, I figured I had a fairly good Heroic Destruction Pawn scale. To simplify my numbers, I divided everything by 100 and used that (stam=4.846, etc.). When I have Outfitter build my gear set, now I am running my haste trinkets instead of full mastery. ATM, my hit is down to only 10% instead of 16% using the default Destruction scale. Not too concerned about this as I am not raiding and Heroic bosses are only level 87. So, what is a poor warlock to do? I can see 3 potential options. Drops while the cheapest to the pocket book are not always the easiest to obtain. With some items being as low as .1 % drop rate, you may never see an item as an upgrade. Now don't discount them completely, as there are the rare chances. Now remember, like VOA in Wrath, Baradin Hold drops Warlock Tier 11 (gloves and legs). 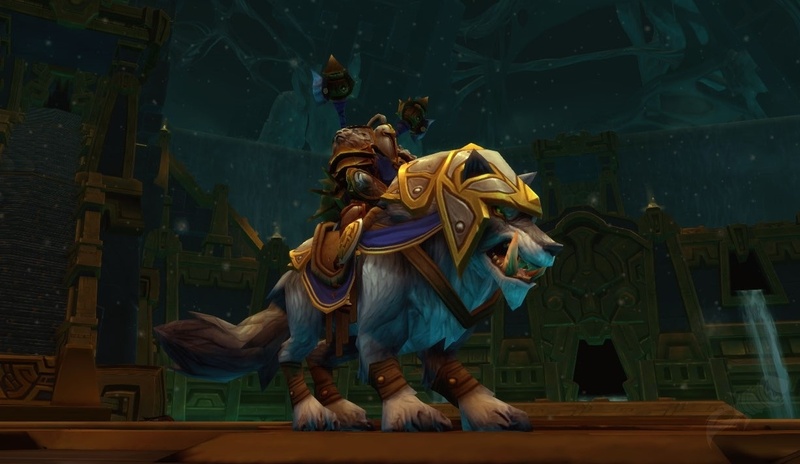 Drops can also come at the expense of the Auction House, or via Guildies. Let everyone know what stats you could use and maybe you'll grab an epic drop without having to fight for it. A little gold and you're done. Considering all the gold picked by simply questing (and getting rep), I can easily have over a 1000g in a short time. Thing to remember about PVP items. The stats are weighted towards survival, not DPS. You will find resilience, and not hit on gear. On the otherhand, if you are upgrading i315 item, the PVP items are typically i339 (tailored PVP) to i360 (pvp points).You should see an improvement, even with Resilience. Just look at enchanting with the cheap hit or haste enchants until you can pick up a PVE item. Tailored Items are becoming my least favorite item. Sure the materials can be picked up by questing, farming, grinding mobs or purchasing them on the AH, but if you are not a tailor, you're relying on someone else and their cooldowns (up to a week per piece of cloth). I suggest keeping all your mats on the bank, then finding a guildie who wants to level their tailoring. Breeches of Mended Nightmares cost 6 dreamcloth, which are made from 1 of 6 different recipes (8 bolt of embersilk + 30 volatiles (air, earth, fire, water or life), or 5 chaos orbs). The recipe cost another dreamcloth. WowHeads lists them at 8000g. I have yet to seem them for sale. Without regularly runing dungeons, your upgrades are going to be harder to come by. Items that might be easily accessible to those already in raid gear, will require a bit more effort to the casual player. I don't necessarily want to wait 7 weeks between tier pieces, but that might be my only option. You don't need to limit your options to only those accessible via the point vendors or BOE items on the AH; consider everything. 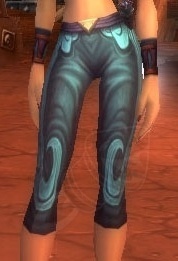 Those PVP honor point pants, might be better than anything reasonably priced for sale. I find it interesting that there are no Breeches for sale on your server. Durotan has a bunch for sale and it is impacting my bottom line. I have a set in my bags right now. I've sold two for over 9k.